Thank you very much for your purchase of the New Pheromone Additive. 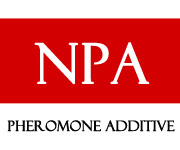 New Pheromone Additive (NPA) is a very effective product, but getting used to mixing may take a little practice. Two important variables heavily affect how much you will want to add to your cologne. One is your own natural pheromone signature, which will have a lot to say about which products as well as how much of any one product will work the best. The other factor is the type and strength of the cologne you are using. The best way to deal with both of these variables is simply to experiment. Mix up small test batches of cologne/PA mix, try them out, and if you have the time and interest record your results. As PA will probably change the fragrance of your cologne a little, be sure to test your experimental potions for fragrance as well as social effects on those around you. When mixing, start with a relatively weak ratio (about 1 part PA to 4 parts cologne) and build up as necessary. Some customers have reported that 2 parts PA to 5 parts cologne works well, but as I mentioned, every individual is different as is every cologne. If possible try varying your cologne as well as the amount of PA you mix in. Finally, if you get a chance, visit our own Pheromone Forum for further advice, not only on mixing but general use of pheromone products. 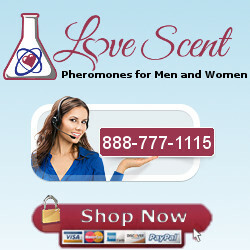 Simply click the “Pheromone Forum” link on our home page. Thank you very much for your purchase of the Edge/Newbie Set! The Edge is a very concentrated and effective product, but getting good at using it may take a little practice. Two important variables heavily affect how much Edge you will want to use at one time. One is your own natural pheromone output, which will have a lot to say about which products as well as how much of any one product will work the best. The other factor is the type and strength of whatever cologne you might be using with your Edge. A suitable cologne whether mixed with the Edge prior to application or applied to the body at the same time as the Edge, is generally required when using the unscented version of the Edge. If you have purchased the scented formula (sandalwood for men; vanilla for women), you may or may not need to use additional fragrance, in which case, start with one spray and work up as needed. In light of the vast differences in colognes, natural body pheromones, and personal taste/style, the best way to find your own magic formula for success with the Edge is simply to experiment. If you are pre-mixing, mix up small test batches of cologne/Edge (starting with a 50/50 mixture), try them out, and if you have the time and interest record your results. As the Edge will probably change the fragrance of your cologne a little, be sure to test your experimental potions for fragrance as well as social effects on those around you. If you don’t want to pre-mix your pheros and cologne, try spraying a little of both the unscented Edge and your favorite cologne on to one wrist and mix by rubbing the wrists together. This application point will make it very easy for you to take test sniffs whenever you like and keep the pheromones away from your own nose the rest of the time thus keeping your own sense of smell from becoming numbed by overexposure. Start with one spray of the Edge and increase gradually until you get optimal results. If your bottle of Edge came to you as part of a Newbie Special Set then the first thing you will probably want to do is use the atomizer and essential oil that came with the set to mix up your first test batch. To do that simply pour a couple ml of Edge into your handy pocket atomizer and using the eyedropper in the top of the essential oil bottle, put an equal amount of e-oil into the atomizer, close it and shake well. Again you may want to apply your mixtures to the wrists for ease and effectiveness of sniff testing. * About 1 in 4 men and almost that many women, can not smell pheromones at all, even up close. You can test your own phero-nose by applying a spray or two of the Edge to a piece of cloth. Wait for it to dry for a few minutes and then take a sniff. If you don’t smell anything on the spot, then you need to be especially careful when using the Edge. The science of chemical attraction is admittedly in its infancy, and the exact details of pheromone application depend on the personal preference and particular natural body chemistry of the user, but I will try to lay down a few general guidelines. A few of the products come with their own specific instructions. Be sure to read the list of application points at the end of this sheet, and check our forum for the latest news and a wealth of vital pheromone information at www.love-scent.com/forum/. **Pheromone Colognes (dab-on oils)** (Alter Ego, Passion Copulin Concentrate, and Pheromol Factor) These products can be dabbed on like normal oil-base colognes. Let your nose be your guide for the amount. You may notice the initial fragrance transforming into the more musky residual pheromone smell underneath as time passes. **Scented Concentrates** (Scented Edge, Scented Primal, Scented Attraction) These are extremely concentrated products that have a simple organic fragrance added to help mask the underlying musky smell of the pheromones, which on their own and in large amounts can be offensive. As with the colognes, your nose can be your guide to the optimal application amount but more caution is advised than with the above colognes. **Unscented Concentrates** (Unscented Edge, Unscented Primal, and Unscented Alpha-7) These products are extremely concentrated and present the possibility of “pheromone OD” (over dose), as they contain no added fragrance to mask the portion of the pheromone “scent” which can be consciously detected with the nose. In extreme cases this smell has been compared to “body odor”, so some caution is advised. Since about 25% of US males are unable to detect the smell of their own predominant pheromone (androstenone) and presumably another portion are somewhat impaired in that ability, the nose is not always a dependable guide in determining how much is too much. Furthermore, the environment, setting and personal preferences of the intended target are all going to play a major role in determining the optimal amount so a LOT of experimentation is recommended. There is often a fine line between “Damn! this guy makes me horny!” and “Damn! this dude needs a shower!” and the old adage of “One man’s (or woman’s) medicine is another’s poison” was never more appropriate than in the use of pheromones. A good cologne is also highly recommended with these products. Dosage? Start with one spray (Edge) or 1-2 drops (Primal) and work your way up. Especially when used with a good cologne, larger amounts of these products have been found to be very effective depending on the environment. Just be careful; experiment a lot and don’t allow the occasional “OD disaster” to throw you off the path to success. **Additive Products** (New Pheromone Additive) These are extremely concentrated formulae which are designed to be added to your own cologne. You should receive a separate instruction sheet with these products. Please refer to that for details on mixing. A pocket sized atomizer available at love-scent.com or your local pharmacy is very handy for mixing up small batches and keeping them ready for use “in the field.” Plastic (no needle) syringes, also available at your local pharmacy may prove useful for extracting controlled amounts from the Additive bottles. New Pheromone Additive has a plastic dropper top which many customers find useful, but it can also be easily removed for pouring or to allow the insertion of a glass eye-dropper or measuring syringe. **Super Primal Essential Oils** These oils come in a handy dropper bottle and are reputed to contain some androstenol, but their primary use is to add fragrance to the powerful unscented (though often “stinky”) pheromone products like Edge, Andro 4.2, and Primal Instinct. For this task they are very well suited. If you have a spare empty atomizer fill it half way with Edge or Andro and squirt in a dropper-full of SP e-oil. Give it a shake and see what you get. Carefully add more, testing as you go along, until you get something that smells good after it has been applied and dried for a few minutes. You can also trying adding the SP e-oil directly into the Edge or Andro bottle, if you think you have a good idea what ratio you are looking for. With the oil-base Primal Instinct, you may want to try the reverse, adding the Primal directly into the SP e-oil bottle. An empty roll-top bottle is handy for quick application and safe packing in pocket or purse. **Wipes** (Edge Wipes for Men and Women) Wipes are handy ways to apply and carry pheromones on the go. Quite a bit of area can be covered with a single wipe, and quick saturation of a large area of skin without “perfume OD” is the forte of the wipes. Simply wipe them over exposed skin: neck, throat, chest, arms, legs etc., using up as much of the moisture in the wipe as possible. I have heard from female customers who tuck the freshly used wipe into their bra. **Unrated pheromone colognes** (IR colognes, APC) These are pheromone containing colognes for which we have no clear data on the pheromone content, or as is the case with APC, we have the data, but it is not that impressive. Nevertheless, customers keep coming back for them all even as stand-alone products; they smell great; and they can be effectively spiked with potent additive products like NPA or AFA. APC is still a major force as a fragrance base for mixing products. **The Kit** (Pheromone chemistry sets) These are only for seasoned phero-gurus. Like they say about the prices at expensive restaurants: “If you have to ask, it’s not for you.” More seriously, some basic information comes with the set, but they are very new and mainly for experimental purposes. The first few owners of them doubtlessly know more about them already than we do.